Beautiful Mediterranean climate with 3000 hours of sunshine per year. This is an opportunity for PGY3+ Registrar/SHO with minimum 12 months experience in Obstetrics & Gynaecology interested in experiencing a different healthcare system and vastly different way of life. Minimum 1 year O&G experience. This is a new $360 million 300+ bed hospital which only opened in 2015. It’s first class, contemporary facilities allied to a reputation for compassionate care make for a fantastic work environment. This is reinforced by it’s ranking at the 99th percentile for hospitals of its size in terms of inpatient satisfaction. With over 3,300 births last year, the O&G department also has a maternity support program to assist Indigenous families. Perth is regularly ranked in the top 10 most liveable cities, with its own premium wine region, 19 white-sand beaches and Indian Ocean sunsets. 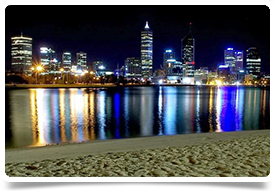 It’s located along the waters of the Swan River and the west of the city runs along the Indian Ocean. It is the state capital of Western Australia and home to around 1.6 million people, making it a highly multi-cultural city with a fantastic social scene boasting plenty of alfresco style cafes and restaurants. 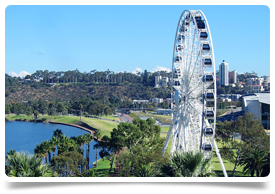 Perth is great for families with a rich and diverse mix of private schooling plus beautiful beaches to the north and south of the city. The clean, clear coastline attracts many visitors who enjoy snorkelling, sailing, surfing or swimming with the wild dolphins that famously live in the nearby bay areas. It also offers one of the most biologically diverse regions in the world. It has an international airport with Singapore a 5 hour flight while Bali is only 3 hours away.